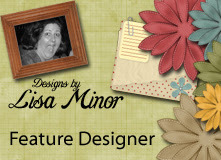 MyMemories Blog: Meet Feature Designer Designs by Lisa Minor!!! Meet Feature Designer Designs by Lisa Minor!!! 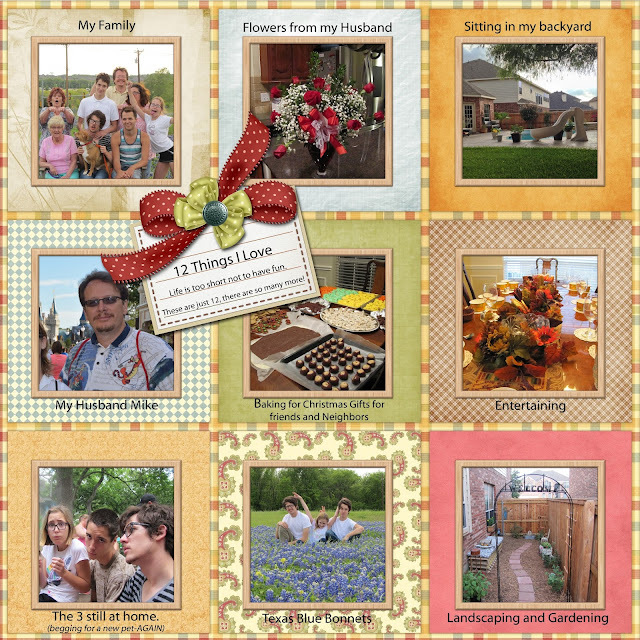 Hi, My name is Lisa and I have been designing Digital Scrapbook kits and more for over 9 years. I've been with My Memories for a little over a year now, so I thought it might be time y'all (that's a southern saying!) might want to get to know a little about me! My husband of 28 years and I have 4 children of whom 3 are still living at home and live in the great state of Texas (yeehaw). We grew up just down the road from each other in Ohio and I'm glad to say I married my best friend. I've worn a lot of hats over the years both in and out of the home; chef, dishwasher, hairdresser, clerk, account manager, salesperson, ADHD student advocate and more. But the one I love above all of those “jobs” is Scrapbooker. For years, I was a "paper" scrapper. I loved creating and preserving my photos. As a matter of fact, my scrapbooks were a minimum of 60 pages for each book. Doing 4 "almost" identical scrapbooks , one for us, 3 for the grandparents, became something that almost always was over budget and frustrating. I kept plugging along and completing my projects. They were costly and they were bulky to say the very least. On a whim, I began looking for some free online clip art to print and make stickers out of to save some money, and then it happened - I ran across the world of Digital Scrapbooking - I started then and there, and never looked back. How wonderful it was to do ONE book, and just order extra copies for everyone else. How cost effective it was to be able to use backgrounds an embellishments over an over again, and how simple it was to be able to truly "match" 2 pages side by side in a book. How easy it was to do so many other projects with a digital kit. I became so passionate about the art of Digital Scrapbooking that I began to fiddle here and there with designing. I was completely and utterly in love with the craft. While my first designs were rudimentary at best, I loved this industry and other designers who were part of it. I began to take classes in art and design and learn from others, gleaning knowledge as I went. Over nine years later, I'm still always striving to make a better kit, not just for "life events" but for everyday moments that need to be captured, many of them with bold and bright colors, and always trying to stay true to myself and how I scrapbook when creating. 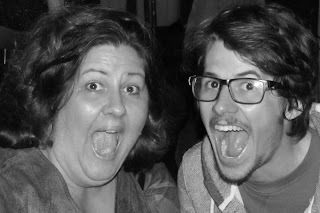 This crazy photo of me is one of my personal “recent” favorites of my son Will and I. It was taken on his 21st birthday and displays how much both of us love the art of having fun with everyday events. I hope that you feel you've gotten to know me a little bit more, and I hope that you browse through my shop here at My Memories and find that “oh so perfect” kit for those “oh so memorable” photos! I am having a 50% off sale October 6th and 7th in my shop. My very first one ever. I also have a little goodie for you! Visit Designs by Lisa Minor on these Social Sites! I love your designs! I purchased 3 of your packages yesterday: Jumpstart Cinderella, Jumpstart May and Jumpstart Backyard Party. My question is: Is there anyway I can move the layers? Some of the embellishments are not where I want them, but I can't move them. Sorry, I don't know why I didn't see this until just now. since the pages are "pre-made" items cannot be moved around. However, those kits mentioned are in the shop and available for purchase so that you can get extra items.